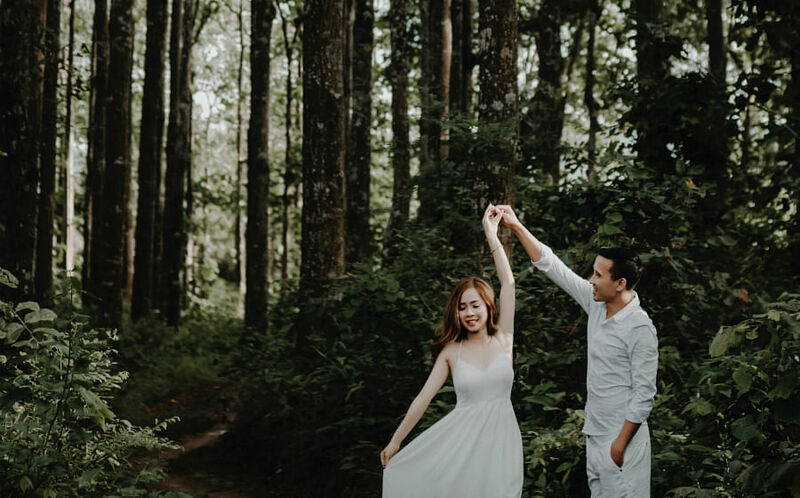 From leveraging travel agents, to using cheap personal loans, these 6 tips will help you and your partner have that dream honeymoon you deserve. Sometimes, you don’t want to work with a budget in mind. This is often the case with a honeymoon: you want it to be memorable, not an accounting exercise where you need to worry about every cent. Here’s how to afford the best honeymoon you can. Pad this amount by a further 30 per cent. This is more generous than usual, but it’s to ensure you don’t have to think too much about money when you’re abroad. Want to fly there in style, without paying too much? The easiest way is to optimise your credit cards. Switch over to air miles credit cards, and use these as a mode of payment (note: never use them for credit, and always ensure they’re repaid in full before the next billing cycle. Otherwise the interest will cost you more money, not less). The key is to funnel all your purchases through one good air miles card, to maximise the rewards. For example: if you go for lunch with all your colleagues, pay for the whole group through your air miles card, and collect money back from them in cash (remember to repay your card right after). This can rack up several hundred air miles, without you actually having to spend anything for them. The air miles gained this way can be used for seat upgrades, or even free tickets. The simple difficulty facing new couples is that of savings. On the one hand, you want a memorable honeymoon. On the other, you can’t deplete your savings, as you need to be prepared for emergencies while dealing with your first house, or preparing for a first child. In this situation, avoid wiping out your savings fund. Pay for your luxury honeymoon slowly instead, by using low interest rate loans. While it’s true you’ll lose some money due to interest repayments, it’s still better than having no emergency savings. You can find personal loans with interest under five per cent per annum on SingSaver.com; sometimes even cheaper. This way, you can pay a reasonable rate for your honeymoon, while still having substantial savings. If you want the honeymoon of a lifetime, consider a delay. Holding off the honeymoon, for even a single month, can make a big difference. For example, one common method is to delay the honeymoon by a month, and then go on a tight budget for that particular month. While most people can’t save, say, 60 per cent of their income every month (unless they’re super-frugal), it’s often possible to do it for just a single month. An extra S$2,000 to S$3,000 makes a vast difference to the shopping budget, or can cover the cost of accommodations for the entire honeymoon. That’s a chance to splurge on a nicer hotel, or to shop without penny pinching. If it’s your honeymoon, you probably don’t want a package tour (who wants to be marched into a lobby at 9 am sharp, and shoved onto a tour bus?) But that doesn’t mean you should skip travel agents entirely. Get your plans from point 1, and show them to various travel agents. As the agents have contacts abroad, they may be able to get you a cheaper deal on the accommodations/activities that you’re considering. They may even be able to get you air tickets for cheaper than some comparison sites. On top of that, if you pay the travel agent with your credit card, it usually counts as retail spend – that means even more air miles or cashback to help with your honeymoon! Google the “shoulder season” for the place you’re travelling to (or ask a tour agent). The shoulder season is when fewer tourists are present, As a result, flight tickets are cheaper, hotels and Airbnb hosts lower prices, and tourist attractions give more promos in a bid to attract business. Travelling on a shoulder season can lower air ticket prices by as much as 20 per cent, and hotel rates can fall even lower than that. You’ll also have the added bonus of not standing in long queues, or dealing with overcrowded roads and shopping malls. This story was first published in SingSaver.